Hair loss affects 70% of men and 40% of women and can start as early as a person’s teens, with risk increasing with age.Hair loss can result in the loss of confidence and has been one of the more difficult areas to treat – with painful surgical processes, lotions and pills that don’t work, and expensive hair pieces. It is often an area that can cause frustration and embarrassment. 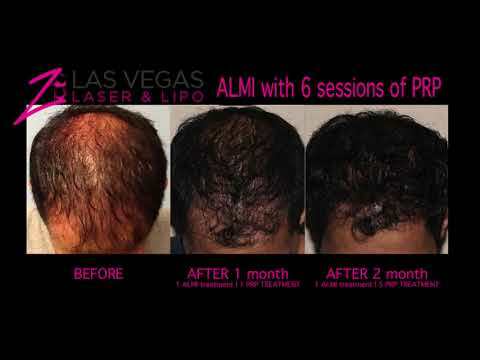 Whether it is for a receding hairline, a balding area, a lack of fullness and volume, or thinning or sparse hair overall, the ALMI™ Procedure (Autologous Lipocyte Micronized Injection) may be the all-natural solution for your hair loss.